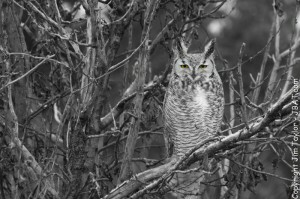 A woke up and what do I behold but a Great Horned Owl, in our tree. 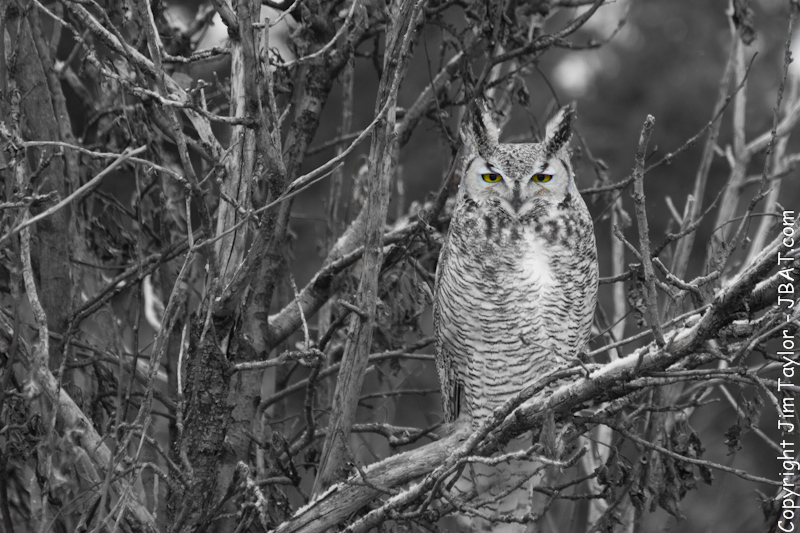 Since my son was mad at me last year, for scaring the Owl (tring to get him to look at me). I thought I would let him have first go. After he was done, I got my chance. Here is what I got.